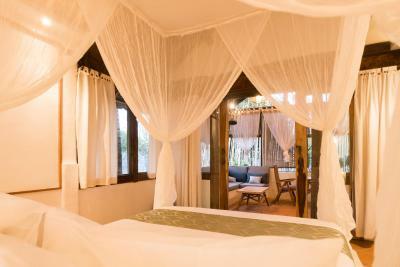 Lock in a great price for The Mandana Suites and Villas – rated 9.6 by recent guests! 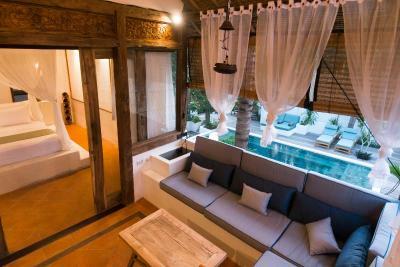 The architecture and design are beautiful, bed comfortable, great spot to chill by pool or in your own personal space. Breakfast was wonderful and there's a good restaurant next door. The personal is very nice. Cute little hotel, amazing swimming pool and breakfast. 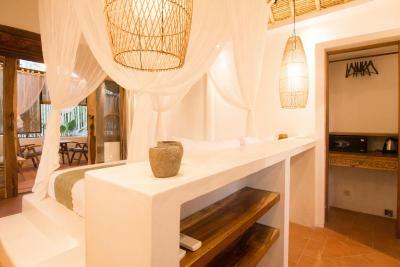 Small boutique style accommodation with the feel of a private villa. Perfectly located in the village part of the island, you can walk to the sunrise beach in 5 min. We hired pushbikes, which we used every day and it takes less than 10 min to reach any place on the island. The staff is so helpful and nothing is too much trouble. They are always around but never intrude. Breakfast is absolutely amazing and freshly prepared each morning and served outside. 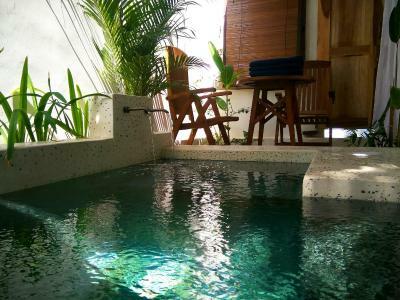 The room with private plunge pool is great and it was a welcome cooldown after coming back to the hotel in the afternoons. 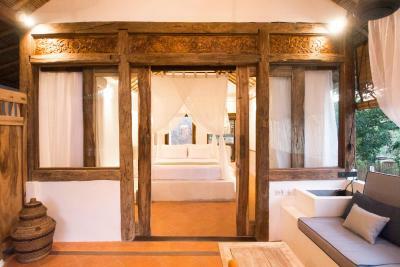 The place is spotlessly clean, beds are super comfy and rooms have great outdoor bathrooms. Csn highly recommend staying here. Its a little hidden oasis. It was a wonderful stay at Mandana. It’s located in the middle of the island so you can reach everything within 10 min. The atmosphere was really calm and peaceful. Everybody was really nice and helpful to us. I can really recommend this place. 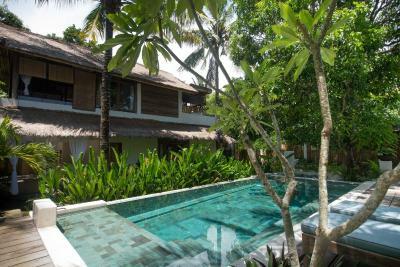 Very nice villa with perfect staff. Will definetly come back here again. Beautiful villa and Andi, Nun, Sira and Ms Nim looked after us so well, from collecting us from the ferry to serving the most delicious massive breakfast and being very friendly 24/7. The pool is lovely and has super comfy loungers, during our stay they were only renting out the one room so we had the whole place to ourselves. 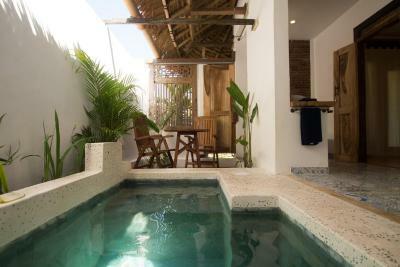 The plunge pool in the bathroom was also a great addition! The cafe next door is also great, serving a lovely lunch. Thank you for having us and making our stay very special! 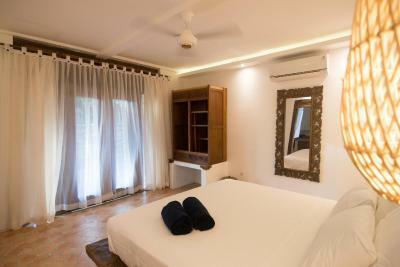 Mandana Suites is a place of great potential, but on many levels not there yet. Hopefully this review will be used by the owner to reach the full potential of this villa. We loved the breakfast on the first day and the bed was very comfortable. 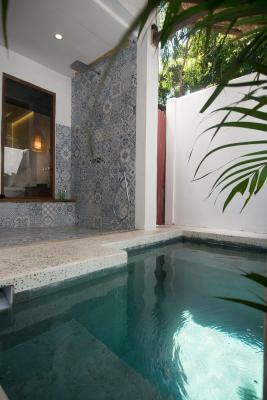 The outside private bathroom is nice and the private pool is deep and could be amazing. AMAZING! Would definitely recommend going here even if it’s for 1 night. It’s a beautiful island and the villa is luxury! The staff are so helpful and polite. The breakfast is unbelievable. THANK YOU! The staff was exceptionally nice. The breakfast was one of the best breakfasts we ever had. 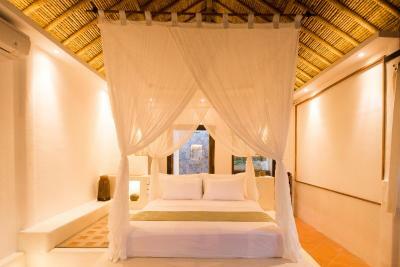 The room was beautiful and the place is located in the middle of the island so it is close to everything. 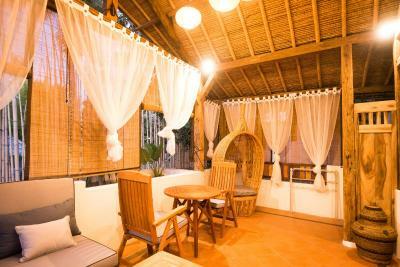 The owner and the staff are very hospitable and do their best to make you feel at home. 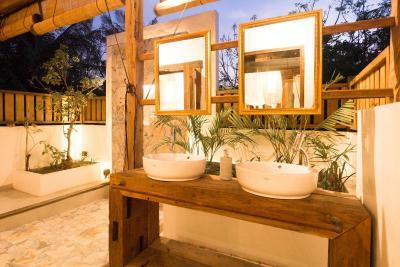 The Mandana Suites and Villas This rating is a reflection of how the property compares to the industry standard when it comes to price, facilities and services available. It's based on a self-evaluation by the property. Use this rating to help choose your stay! 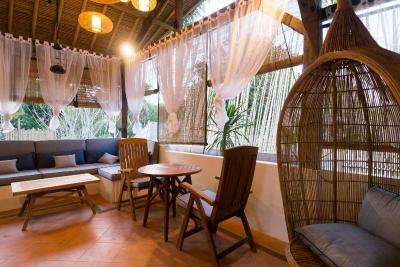 One of our top picks in Gili Islands – and a guest favorite. 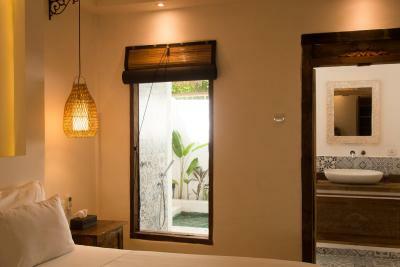 The Mandana Suites and Villas offers air-conditioned rooms in Gili Air. This bed and breakfast offers free WiFi. At the property every room has a wardrobe. 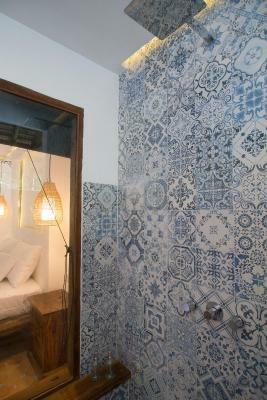 All rooms are fitted with a private bathroom with a bath or shower and free toiletries. 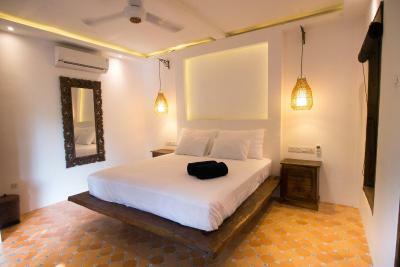 Guest rooms feature a seating area. 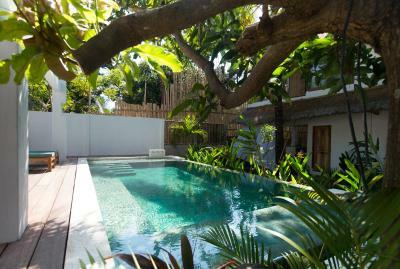 Guests can reach the property from Bangsal Harbor, located 1.9 mi away. 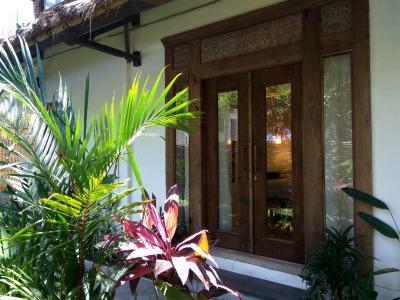 Gili Trawangan is 3.1 mi from The Mandana Suites and Villas, while Tanjung is 5 mi away. 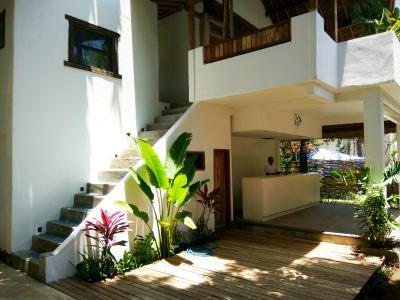 This property also has one of the top-rated locations in Gili Islands! Guests are happier about it compared to other properties in the area. 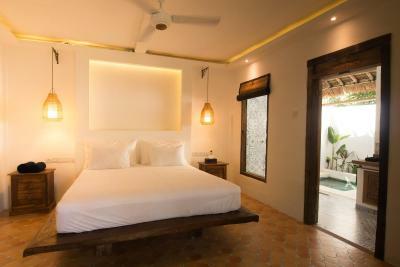 When would you like to stay at The Mandana Suites and Villas? 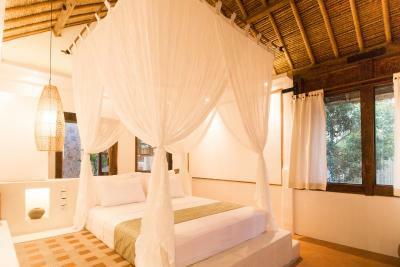 This double room has a balcony, air conditioning. 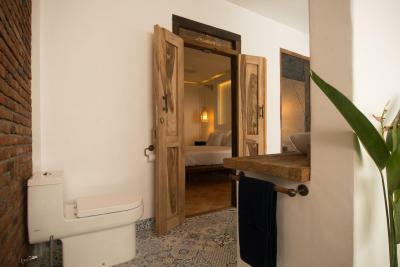 House Rules The Mandana Suites and Villas takes special requests – add in the next step! The Mandana Suites and Villas accepts these cards and reserves the right to temporarily hold an amount prior to arrival. 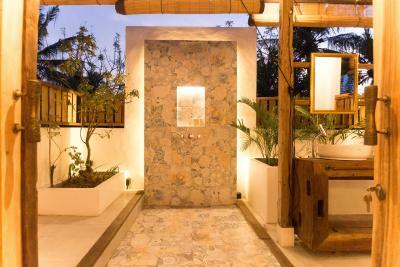 Please inform The Mandana Suites and Villas of your expected arrival time in advance. You can use the Special Requests box when booking, or contact the property directly using the contact details in your confirmation. It's not a beachside property and some of the routes around the island get very dark. It's not far from everything, obviously, as the island is so small, however. ‘Could be amazing’ because the water in this pool could not be heated, leaving this pool only comfortable during the hottest hours of the day. Definitely not suitable for a wine or beer late at night - which would be its prime function in our opinion. The breakfast was grand and had a ton of options, but the bread and pastries we didn’t finish on the first day was served again on the second and third day. We don’t like wasting food, but stale bread is also not what we are looking for. It would be better to slim down the assortment a little bit and make sure all the food is fresh daily. Some smaller improvements: - Get new towels or wash the ones currently used a few times because we found blue fabric from the towels on our bodies and in the bed throughout the day. - But the AC above the headboard of the bed, right now the AC cannot be set in a way it will not directly hit the bed, creating a annoying flow of air. On the second day we asked for a duvet, which made the air on situation a bit better, always equipping the bed with a duvet would be nicer. 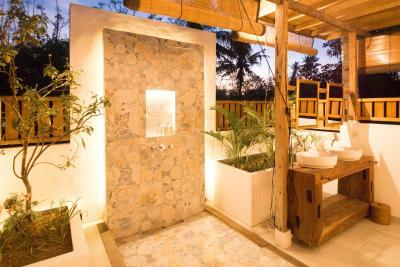 - Hot water was limited to one shower or so, would be best to find a solution for that. We had a pleasant stay, but by far not as amazing as it could have been. We see the establishment is trying, but it could be so much better! 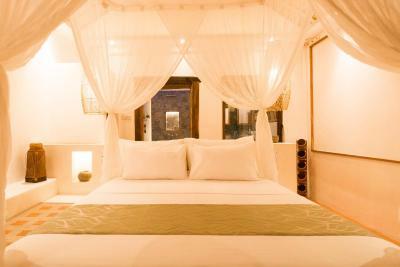 We really enjoyed our stay at the Mandana. The staff was exceptionally welcoming and polite. 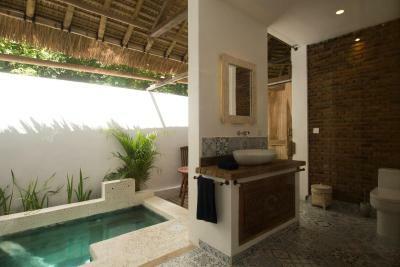 The hotel room was clean, had air conditioning and a beautiful outside bathroom with private pool. Breakfast was excellent with lots of different options and more to choose from that we could actually eat. Nothing - absolutely nothing to complain about! 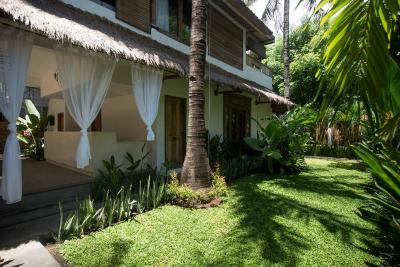 This small resort is perfect for a stay on the island Gili Air. 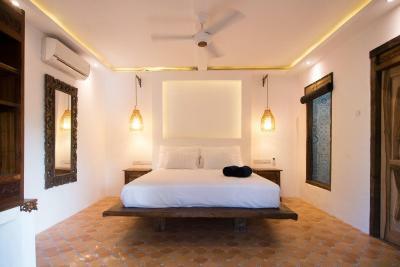 It provides three spacious, stylish and absolutely clean rooms with nice balcony or terrace and an outstanding open-air bathroom. 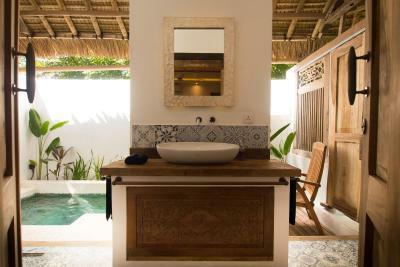 It has a very nice infinitypool, where we have been every morning before the wonderful breakfast was served and in the evenings when we came back from the beaches with the free of charge bicycles. Rudy and it’s colleagues do an absolutely perfect job in giving the customer a perfect feeling and support them in every question they have. Especially the breakfast is something we didn’t found anywhere else around Bali-really outstanding! 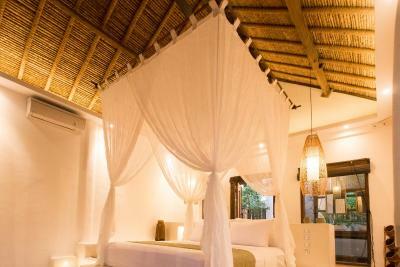 If we will come back to gili some day we will definitely try to get back to this resort! The breakfast is amazing, the room is decorated in great taste and the staff are superb!